I had so much fun stitching this piece from Kelly Clark and loved the results so much that I went for a custom acrylic box to display it. My favorite frame shop did a fabulous job of creating the box. If your local shop can’t do this, try mine: The Framing Establishment in Jacksonville FL, 904-384-7724. We have these wonderful new tree designs from Kelly Clark in stock now. There aren’t many left, and we don’t know if we might get more. Kelly Clark’s trunk show landed on Amelia Island with over 400 designs. The show is over but we can order any of these for you. For Halloween fans, there are bats and hats and creepy creatures. For Christmas, candies and apples, Santa’s and socks and more. Then there are the tassels, the Please Come In signs and At Home With Kelly canvases. And to top it off, Kelly is introducing a new canvas artist, Dan DiPaolo, whose whimsical designs are irresistible. These are just a few of the choices. Many canvases are painted on 13 mesh and many come with stitch guides. 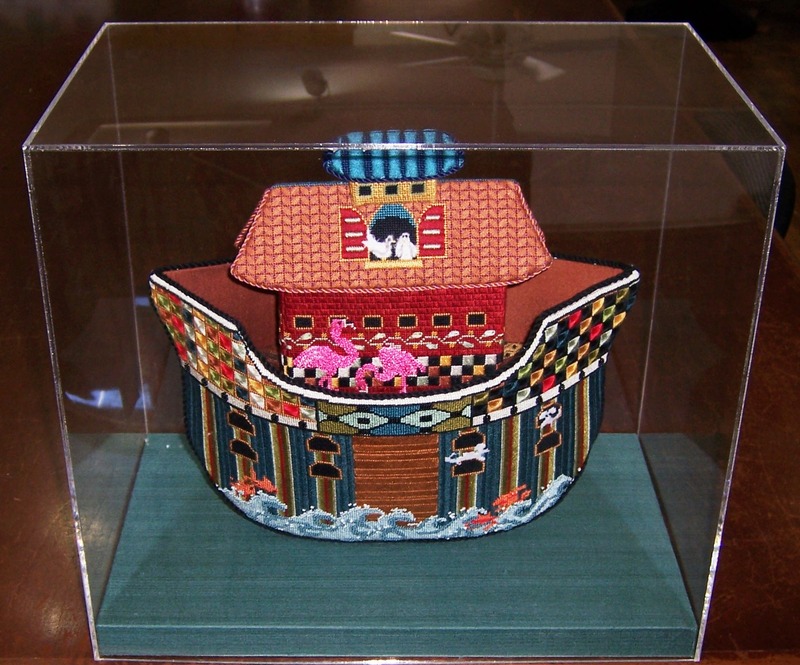 And yes, we have the mermaid featured in Needlepoint Now in stock. Its not just about the shoes – sometimes a witch needs a glamorous hat to complete her outfit. These 6 witches’ hats by Kelly Clark are so fun–and there’s a stitch guide that covers all of them. Imagine these beauties on a Halloween tree — tres chic! For a limited time, if you buy all 6, the stitch guide is free.